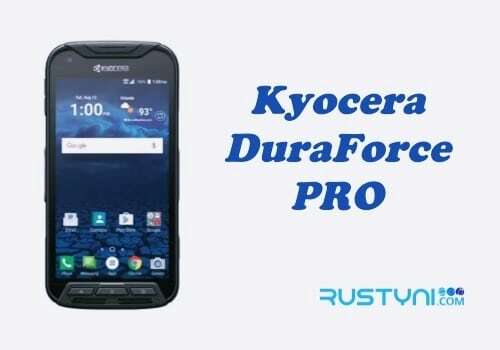 Learn how to boot Kyocera DuraForce Pro into Safe Mode, where it will disable the entire 3rd party app that may caused problem with phone performance, and have the phone works normal again. Safe Mode on Kyocera DuraForce PRO – 3rd party app that didn’t work well or didn’t really fit in with Kyocera DuraForce Pro system may cause some issue with the phone. If you suspect that one of the apps in this phone caused some performance issue yet you are not quite sure whether it was the 3rd party app or not, you can check it out by boot the phone into safe mode. Power down the phone first. Press “Power button” until “Power menu” appear and tap the “Power Off” option. Press “Power button” for a several seconds until you see the phone logo appear on the screen. When it does, release “Power button” immediately. Right after you release “Power button”, press and hold “Volume Down” button immediately. Failed to do this will bring the phone back to standard mode. Keep pressing “Volume Down” until the phone boot into “Safe Mode” and release it only when it has finished the process. To ensure that you succeed in booting the phone into Safe Mode, make sure that there is the Safe Mode text written at the bottom left of the screen. If it’s not, you need to repeat the process once again. Now you are in Safe Mode. If you enter the menu, you can see that none of your 3rd party app is show up. Evaluate the phone performance. Does it still have the same issue that plagues the phone in standard mode? If it’s not, you can be sure that one of those 3rd party apps is causing the trouble. Now all you need to do is find the culprit, have it removed or uninstalled before you can reboot back to standard mode.